Got Questions About Storing Your Stuff? We’ve Got the Answers! Q. 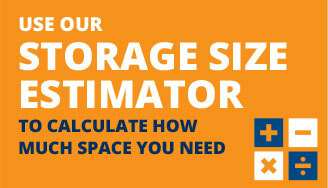 What sizes of storage space do you offer? A. Our storage spaces range in size from 1–72 m3. Contact us to find the best solution to meet your needs. Q. What types of security does Storage City have? A. Our facilities offer advanced security features, including: individually alarmed units with back-to-base monitoring; electronically controlled PIN-code access gates; 24-hour closed-circuit TV using a 32-channel digital video recording system; and high-powered nighttime flood lighting. Q. Do I need insurance to hire storage space with Storage City? A. Goods held in self-storage remain the responsibility of the storer (i.e., you). 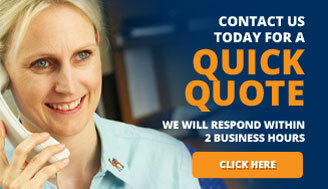 As a result, we strongly recommend that all customers invest in insurance coverage. We can organise insurance coverage at competitive prices. Contact our office to learn more. Q. What can I store in Storage City facilities? A. 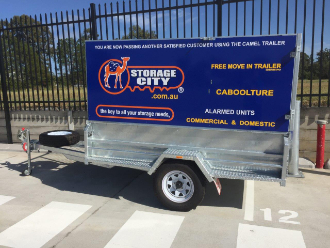 From cars, caravans and boats to furniture, tools and equipment to boxes and more we’ve got the space to fit your storage needs. Please note: Hazardous, illegal, stolen, perishable, environmentally harmful or explosive goods are not permitted in our facilities. If in doubt, contact our offices to learn about specific storage dos and don’ts. Q. During which hours may I access my unit? A. Our storage units and open storage facilities are accessible from 6 A.M. to 7 P.M., 365 days a year. Q. How do you keep your storage spaces clean? A. After each customer vacates the unit, our staff conducts an inspection and thorough cleaning. Each individual units is treated for pests before you take possession and after you leave at no extra cost. Q. What else should I be aware of when it comes time for me to store my goods at Storage City facilities? A. We make it easy for you to store your goods in our facilities. That being said, self-storage differs from traditional storage in that the storer of the goods is responsible for and retains control over the goods whilst they are in storage. It is your responsibility to lock the unit and keep the key safe. Q. Will anyone else have a key for my storage space? A. Absolutely not! Bring your own lock or purchase one of ours — either way, you hold the only keys. In addition, every customer is issued an individual access PIN code to open the gate. This allows us to track all those who come in or out of the facility 24 hours a day, 365 days a year. Q. Do you offer long-term storage options? A. We offer terms from 1 month to 1 year or more. Discounts are available for rentals that last for 6 months or longer. Contact your local Storage City location to discuss your storage options today. A. We accept cash, money order, direct debit, EFTPOS, and all major credit cards. We offer an array of ways to pay for your storage with us: pay online, through direct deposit, direct debit, via telephone, and more. Check out the Payment options page for more details.